Tesla motors has huge ambitions. Tesla founder Elon Musk has said he envisions Tesla as an independent automaker, aimed at eventually mass producing fully electric cars at a price affordable to the average consumer. This is a very difficult goal to achieve for several reasons. If you want to produce cheap cars you need a finely tuned, automated and hugely expensive factory because that’s the only viable way of producing a cheap car. You also can’t expect to get it right the first time. There will always be beginners mistakes, inefficiencies, regulations, things you hadn’t thought of and all sorts of other hurdles you need to jump through before your factory is ready for primetime. Mistakes in a full car production environment are notoriously expensive. Maybe the biggest hurdle towards producing a cheap car is conservative customers. In an interesting focus group study that Phillips did to find out what color they should make a new electric kettle they invited groups of people to come in and discuss the merits of the different colored kettles on display. There were kettles in red, blue, yellow, green, and the traditional white. Most people liked the colored ones, and praised them for their looks and fresh approach. After the study they were told that as a thank you they could pick one of the kettles to take home. Almost all of them chose the white one. People are conservative creatures. Especially when it comes to big investments, such as a car. You need a history, brand awareness, and a fleet of cars already driving the roads to make average customers pick a Tesla. These are huge obstacles, and is probably why there hasn’t been a new major auto maker in the United States for 90 years. The fact that Tesla is making electric cars doesn’t make it easier. Tesla’s strategy for overcoming these obstacles is ingenious; Start at the top and work our way down. If you drive a roadster you're cool. And rich. Their first car was the ubercool, expensive Roadster that goes from 0 to 100 km/hr. in less than 4 seconds. Faster than most ferraris. It comes at a base price of $109.000 which, along with the looks and performance is sure to place it firmly in the “I wish I had one of those” category. The roadster is the first step in the grand strategy. The point isn’t to sell a lot of roadsters, it’s creating a brand. People that can afford a roadster are a minority and it will always be a niche car- Less than 2.500 have been sold to date. But since they are early adopters and thought leaders it elevates the Tesla brand from unknown to somewhere between BMW and Ferrari. 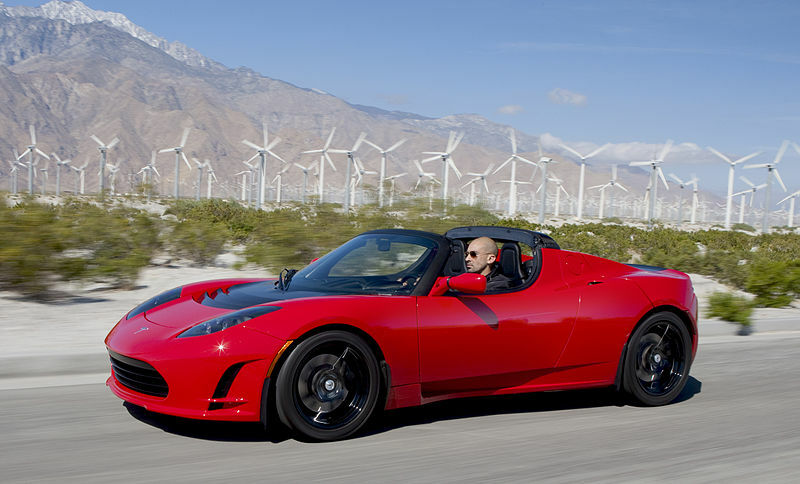 Every car enthusiast worth his salt talks about the merits of the Tesla Roadster, and lots of average Joes know it exists, and that Tesla is the coolest thing that happened to cars in the last 50 years. The low production volume also gives the company a chance to learn how to run a car factory on a small scale while mistakes are still cheap to make. If 10% of the cars fail, that’s 250 cars. If you drive a model S, you're still Cool and rich. But probably also a dad. The next step is the model S. With a price tag of around $50.000 (depending on which battery pack you choose) it’s still an expensive car, but with a broader appeal. Due to the lacking gasoline engine and accompanying drive shaft, gearbox and other heavy machinery it’s a very roomy family car. It’s got two baggage compartments – one in the front and one in the back. If anyone doubts the target market the baggage compartment in the back can be converted to two child seats with the children facing backwards looking out the rear window. With a broader appeal, and the brand recognition of the roadster it’s expected to sell well for a car in this price range. On January 30, 2013, it was reported that production had reached 400 per week. That’s more than 20.000 cars a year. The ramp-up in production will also teach Tesla motors how to do mass production. This is where we are now. Notice that this is a classical Silicon Valley strategy. Start by targeting early adopters with an expensive product, knowing that this demographic will be forgiving of small glitches as long as they get the newest and coolest tech. The heavy price tag pays for your research and development, and battle-hardens your technology. This is how cell phones, flat screen TV’s and laptops are sold. Use your initial experience to iterate on processes to make the product better and cheaper. Then lower the price and grab a larger market share. Tesla is now an excellent brand, and has processes and production methods that are built from scratch and iteratively tested to deliver cost-effective cars. Notice how, unlike many other electric cars, Tesla doesn’t primarily market their cars as electric vehicles. They know that outside a small circle of enthusiasts nobody cares whether it’s electric or not. What they care about is how it looks, how it handles, fuel economy, range and how nice it is to drive. Tesla cars look great, they’re so concerned with the finish they invented a special red paint that has extraordinary depth and shine. All their cars handle extremely well due to the low center of gravity (the heavy battery pack is located under the car), the fuel economy is good, and the range is almost as good as a gasoline fueled car. They also know that if they are to take on the giants of the car industry they need an edge. With their knowledge of electric vehicles, batteries, and electronics, and some experience in mass production of these they are well positioned for a future of electric cars. Arguably Tesla has more expertise in this area than any other car manufacturer. The next step is to move one rung lower down the ladder with a cheaper car. This is the Bluestar with an expected price tag of $30.000 and a production schedule starting in 2015. This moves Tesla closer to the large and profitable consumer market, where cars are sold in volumes of hundres of thousands, if not millions. Eventually cheaper cars, specialised cars such as vans and trucks, and eventually self driving cars (Google is close by!) wil be produced in their Fremont production facility in California. The fact that the majority of the Tesla factory still sits empty waiting for the volume of the mass market is a sign of the ambition. If the future of cars is electric, and a lot of things point that way, Tesla is uniquely positioned to lead the market. They have the brand, they have the technology, they have the production expertise, and they have the facilities. If I was General Motors I would be afraid. Very afraid. And if Google doesn’t completely disrupt the whole car industry with a self drivable car service Tesla should be in good shape to sell alot of cars. You close with “If I was General Motors, I’d be afraid. Very afraid.” Why should any of the big automakers be afraid of Tesla? They’ll simply handle them they way the way they’ve handled any other competing technology…with targeted congressional regulation and acquisition. If Tesla becomes a threat, they’ll be bought and the product line discontinued. If they can’t be bought, they’ll be regulated out of existence with bought congressmen. It has already happened with Tucker Automotives and the Mazda rotary engine. Tucker was a long time ago and things have changed. The public doesn’t look so favorably on GM anymore. Also keep in mind that it is less likely that congressmen will be bought now that the government has bought GM. The Rotary engine wasn’t some efficiency revolution that electric power is. While it can be very efficient like the turbine engine, that’s normally at full throttle. With poor fuel economy and fragile apex seals leading to expensive repairs, the free market saw to the rotary, not some insidious corporate plot. The biggest reasons cars cost so much is not “conservative customers” but onerous government pie-in-the-sky regulation and labor costs. Those two issues have proven to have gotten worse over the years, not better. Additionally, battery technology has seen virtually no improvement for years. You guys can project about a wonderful world with all-electric cars, but it’s a fantasy. Keep dreaming. There always has to be someone on the wrong side of history. Which side do you think you and the fleet of fossil-fuel based cars behind you stand on? Definitely not possible with that attitude – which is why Detroit has not been able to produce this level of success. 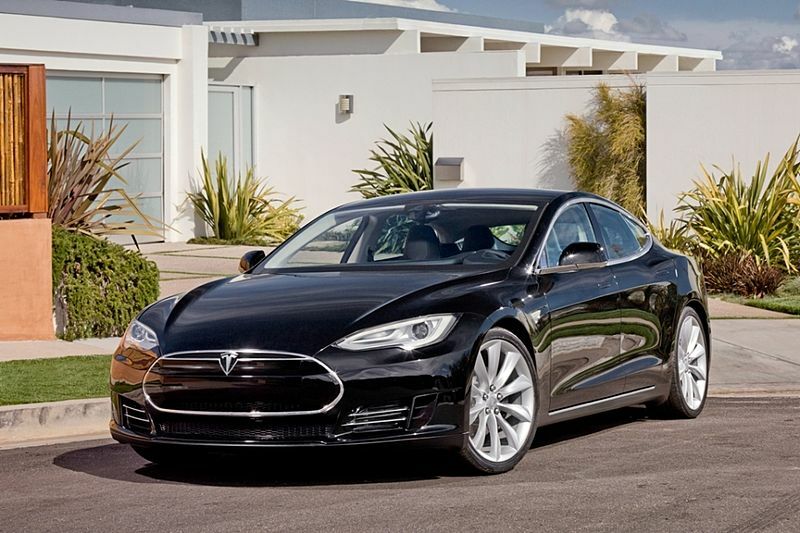 Tesla has already accomplished 2 huge milestones, a viable $100k car, and a viable $50k car. Only time will tell if they can take the next step, but they have had very solid execution up until now, so I think they’ll get there if anyone can. The strategy is logical and what Tesla is doing is playbook startup stuff – I suppose its new to the automotive industry but nobody would raise an eyebrow in silicon valley. That is what you do. Tesla’s genius is that they build desirable cars, which is just an extremely hard technical problem to solve; and that they were crazy enough to start years back when the entire thing seemed like lunacy. Back then it seemed like something that was going to be very expensive and have a very high chance of failure. It seemed as if either battery tech would just not be good enough, or the other auto makers would easily clone the tech. Turns out, it wasnt so. The auto industry is already looking past electric to hydrogen. Nissan, who has taken the biggest stab at electric, is already licking its wounds from its multibillion dollar gamble. Tesla’s making a brave and innovative foray, I will give them that. But with the stunning lack of traction of electric cars amidst $4 gas…I’d say the odds are against them. The thing with the hydrogen is that it can’t really be properly handled. The “pure hydrogen” (H2) is so small that it penetrates almost any kind of holding container, or in English – it leaks. That alone _is_a_problem_, not to mention the secondary chemical effects it has on a lot of elements with which it gets in contact with. The only way to deal with hydrogen is to chemically combine it with something, but then you’re getting in making synthetic fuels… which if electric thing fails, might be one of our way forward, btw! Keep dreaming OP. There’s a good chance Tesla won’t make it through 2013 with a positive cash flow. They are not selling enough volume on their Model S to keep them going through 2013. The economic collapse is still looming despite MSM rosy outlook. Sure the stock market is going up, but so is the inflation rate. With the dollar value doing down, Tesla will have an harder time convincing buyers. How many Hollywood hotshots can they rely on before needing that next paycheck? THEN there’s even a bigger challenge. People been talking about peak oil this and that, but the latest shale oil finds in the Bakken and Australia are estimated to worth over $20 TRILLION dollars. Who knows how many centuries that will keep humanity to continue to depend on cheap oil. Also he has the money and smarts to build out a network/networks of charging stations on east and west coasts. This is key. We have a Volt and when we go to a bigger city it’s getting relatively easy to find charing stations; here in Peoria and other places, or just general on the road traveling, not so much. Infrastructure is the key on which electric will live or die, and infrastructure outside of NY, Chicago, LA, SF, etc. What would be interesting is not just charging stations but electrified roads (at least highways) that will remove the need for large battery packs. It will reduce the price and the need to wait for charging. But, even assuming technical and potential safety issues are addressed, it may be a pipe dream because it will need critical mass of users (or very enlightened leaders) before these ideas bear fruition. I’d argue that this is classic Clayton Christensen’s (& a few other Harvard guys) classic theories of innovation and disruption that have been executed on the best by Silicon Valley. In fact, Christensen cut his chops pre-Harvard by building the legendary strategy consulting side of Boston Consulting Group. That’s “Philips”, not “Phillips” 🙂 And, you should have defined/explained the name when you introduced it.